One of the earliest documented European cemeteries in Georgia, Darien’s Old City Cemetery is all but gone today. The Highland Scots who first settled Darien’s predecessor, New Inverness, were buried here. 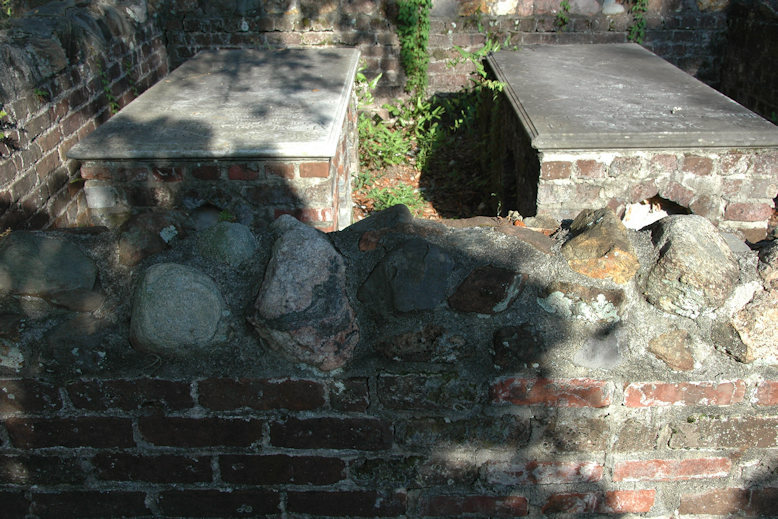 The only preserved section of the cemetery contains the crypts of two Loyalists, enclosed in a brick and stone fence. Other earlier known burials were: Hugh Clark, John Cunningham, Donald Fraser, John Grant, Major Elisha B. Hopkins, James MacKay, Archibald McBean, Alexander McDonald, Lt. Colonel William McIntosh, Thomas McKenzie, Angus McLean, Donald McLeod, Hugh Morrison, Alexander Munro, Alexander Murray, David Stewart, Robert Sutherland, Colonel Abitha Thomas. The two visible crypts contain the remains of John Cunningham [1767-22 June 1806] and his sister, Margaret Cunningham Pearis [1775-18 April 1805]. 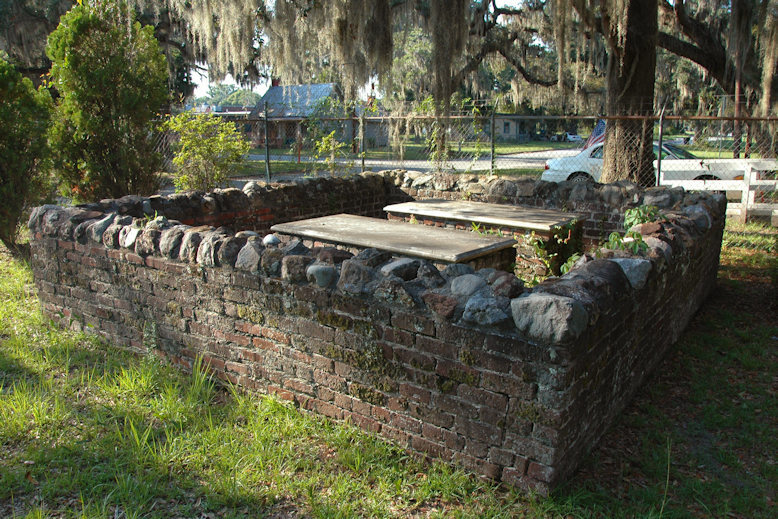 Margaret was the wife of South Carolina Loyalist Richard Pearis. John and Margaret’s father, Brigadier General Robert Cunningham, was exiled to Nassau, Bahamas and received a land grant from the King for his loyalty. He was well-known in the Bahamas and died there in 1813. Where is the location of the old Scottish cemetery in Darien?